The SD7000 Surface Pro Docking Station turns your Surface Pro into a Mini Surface Studio. Protect your tech with flexible locking solutions. Find your perfect connection with Kensington docking solutions. Work healthy. Workplace wellness solutions for today’s professionals. 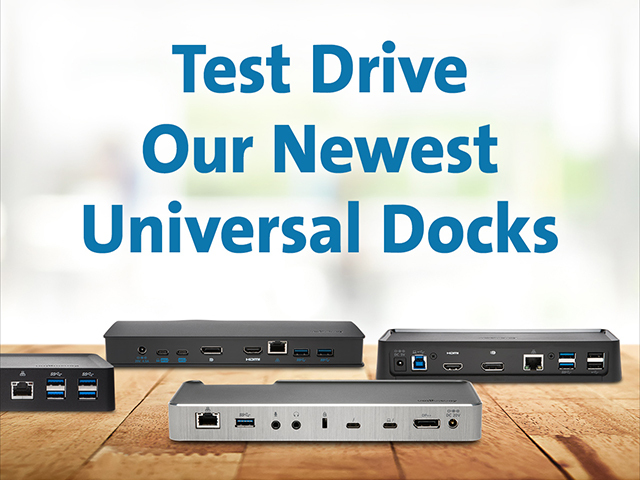 Try the docks before you spend the bucks. #1 Choice in K-12 Education Accessories. Find a compatible lock for your laptop. From docks to locks and everything in between, we’ve got what you need. And we’re proud to be a leader in desktop and mobile device accessories, trusted by organizations around the world for more than 35 years.